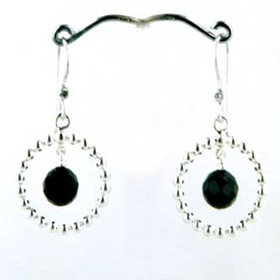 Black onyx pendant necklace in sterling silver. 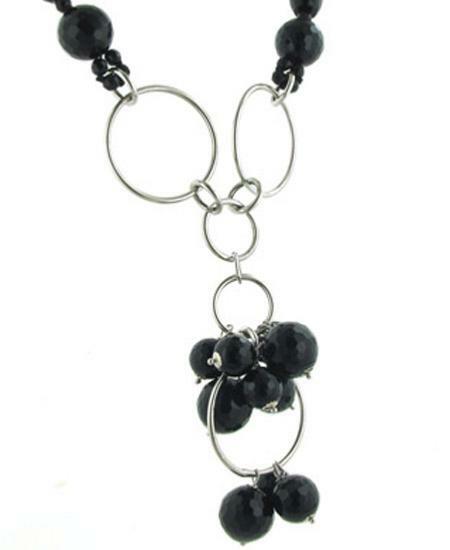 If you're looking for a statement black necklace to steal the show, you just found it. 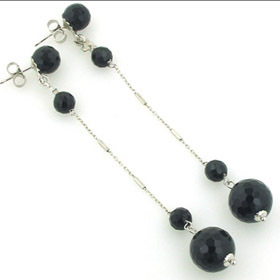 The combination of glittering black onyx beads with the sterling silver rings gives the necklace a classic look but the style is anything but classic. 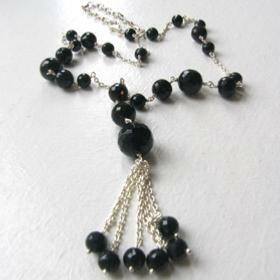 This necklace has Italian flamboyance! 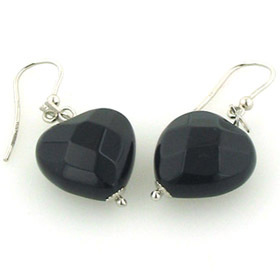 The back onyx beads are faceted and chunky - beautiful quality beads. 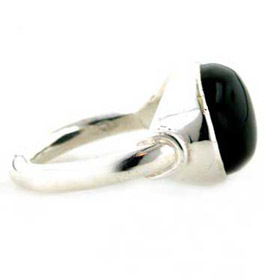 The silver rings are solid and substantial. They are good and strong. 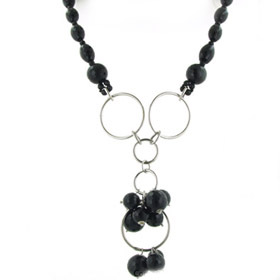 The necklace sits perfectly inside necklines and sits around the base of your neck with the rings and pendant falling down your chest to the top of your cleavage. 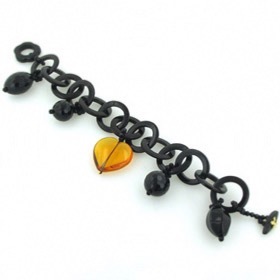 There are ample extra links to make the necklace longer if required. 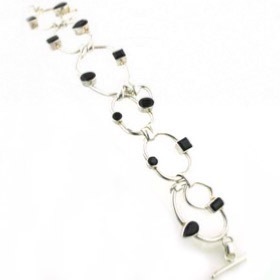 These links are prettily finished with a round black onyx bead. 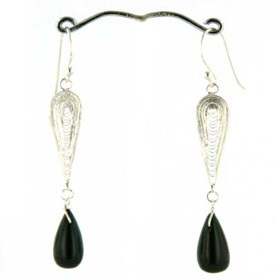 It looks exceptional with evening wear. 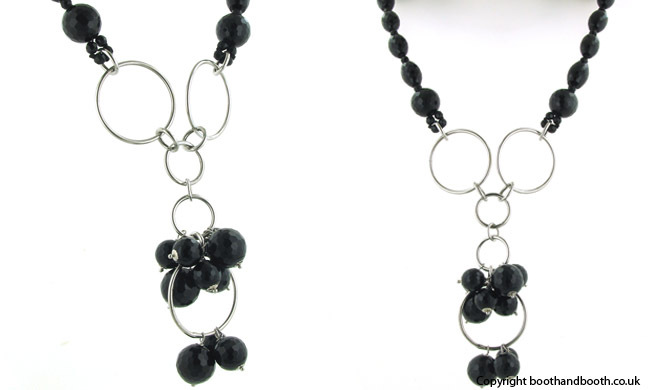 Enjoy Free UK Delivery on all our Black Onyx Necklaces! 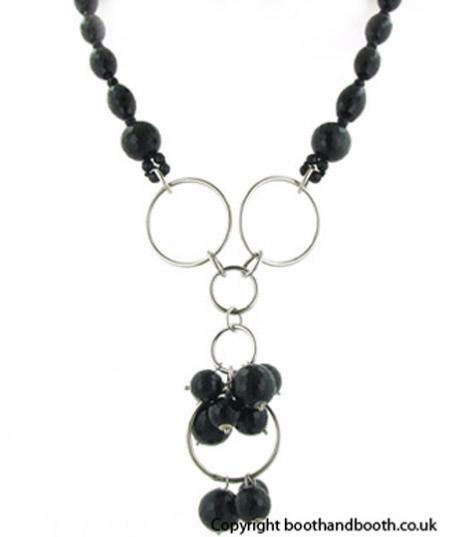 This black onyx necklace is made in Italy by Rajola and gift wrapped in beautiful branded packaging ready to present to your loved one or to treat yourself.